Kuʻu ʻĀina Aloha, Beloved Land, Beloved Country is a feature length, visual poem that challenges the documentary form. A compelling story of Hawaiʻiʻs true history told through image, song, dance, prayer and story of ka poʻe aloha ʻāina - people who love the land, as kin, as mother. This piece affirms the resilience that the Hawaiian community has as they have wrested back their culture from the brink of extinction. A truthful telling of Hawaiʻiʻs history and visions from the Hawaiian communityʻs perspective past and present – in the language of the land. Ku’u ‘Āina Aloha – in Hawaiian the phrase means My Beloved Land. The kaona, or deeper meaning of this phrase speaks of papa honua – mother earth – as she who feeds, and continues to nourish and sustain us. Beloved homeland. Beloved mother. of great loss, of great resilience, of great hope. Knowing the truth, never forgetting. Working to heal and transform many across communities. 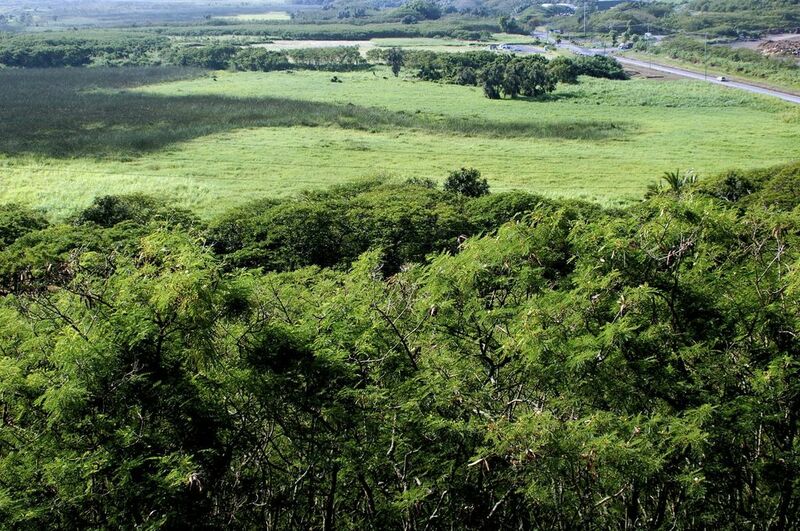 this will be our song of thousands of voices…Unrelinquished, we, the Hawaiian Nation are tied to this land like an an infant to its motherʻs umbilical cord. Every human born cuts this cord physically, but our tie to our birthplace endures spiritually into eternity. Words spoken throughout this film are from firsthand accounts of actual events; from letters, journals and newspaper accounts selected from two centuries of discussion, history, politics, song and prayer. 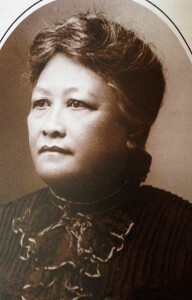 Our story’s heroine Aʻima Nāwahī was a passionate royalist, confidant of Queen Liliʻuokalani and the great-grand aunt of our film producer. 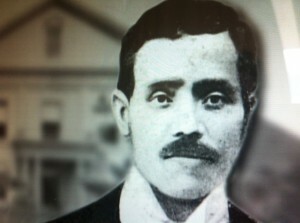 Numerous Hawaiian Kingdom citizens are relatives of our creative team as well. In 1893 the connection to our Motherland was severed. This aloha ‘āina, love Hawaiians had for their land and country then, continues today. Every Hawaiian since has longed to heal this historical trauma. For some, itʻs about political recognition, or economic advantage, yet for everyone, it is about understanding what really happened in the past, so we can go forward. Remembering our history and knowing the truth is about continuing the journey towards healing. Forgiving is part of the story, but not ever forgetting. Respecting beloved mother earth and caring for her is medicine. Loving and protecting her is a path towards healing ourselves and our relationship with the land. 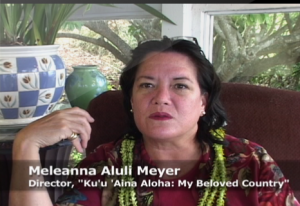 Director, Producer Meleanna Aluli Meyer speaks about the film, her motivation for the work and her commitment to Ku‘u ‘Āina Aloha in an interview for Reel Stories with Don Brown.